America’s urban communities need a reformation. So why do they keep electing Democrats whose progressive policies hold them hostage on the plantation of liberal ideology? Every week a prominent Democrat is in the news labeling their opposition as racist as if it is some sort of sport. Do you support school choice that helps struggling black parents endgenerational poverty? Racist. Call out black crime rates that disproportionately claim black victims? Racist. Criticize the welfare state that keeps black people hooked on government handouts? Racist. Are you a Republican? Automatic racist. And if you’re a black conservative like I am, it’s even worse. No substantive conversation can take place in this environment. Liberal politicians that engage in identity politics have diluted what it actually means to call out racism. Democrats refuse to admit just how harmful their own policies are to black and other urban communities. And oftentimes, the Congressional Black Caucus is a leading player in this putrid game. The CBC has been appointed gatekeepers by the liberal white establishment to keep blacks tethered to the plantation of liberal ideology and to go after anyone who dare escape. Education is the vehicle to upward mobility for black people trapped in dysfunctional urban centers with high poverty rates, high infant mortality, high unemployment, and high crime involvement that results in high incarceration rates. After all, an educated black student is less likely to be involved in gangs and criminal activity. That’s something you’d never hear a liberal CBC member admit, but having spent my life serving the black community as a career law enforcement official, I have had a front row seat from which to view this urban decay. By standing in the way of the implementation of life improving-policies like school choice, they ignore the underlying conditions that fuel black crime, chronic unemployment, welfare dependence, and absent fathers. Democrats and the Congressional Black Caucus have failed their own communities, choosing political expediency instead. School vouchers and charter schools are a critical initiative in improving urban education systems. It’s a winning policy. School choice has had a positive impact on student performance, which translates to educational and professional success. By allowing schools to compete for students, teachers and curriculum improve, parents are empowered, and students are given a chance to succeed. It helps break the cycle of poverty and get people off of welfare. With a proven record of success, school choice is exactly what black communities need. Sadly this isn’t even a part of the CBC platform. There’s a reason why Democratic politicians are against it: they recoil at the thought of empowering parents or anybody else. Empowered individuals do not need big government or its supporters. How do these politicians ignore the role of their bad policies in these deteriorating communities? With the help of an accomplice – the liberal media – they can hide the dirty little secret of failed urban policies. With school choice advocates President Donald Trump and Secretary of Education Betsy DeVos on board, now is the time to ensure better education for black communities. Unfortunately, the CBC and Democrats continue to push back against such reforms. In fact, they’ve manipulated the issue by labeling school choice advocates as racist. But the question remains: by preventing school choice – a policy that directly benefits black communities – are Democrats and liberal members of the Congressional Black Caucus really trying to help black communities? Unfortunately, this isn’t the only policy they’re wrong on. Every time one of our nation’s cities gets ransacked by riots, the CBC sides with radical groups and calls for greater restrictions on law enforcement. These politicians have no idea how dangerous their actions are to our communities. Or do they? They fail – yet again – to address the underlying issues: education, stable family structure with involved dads, and encouraging the adoption of a more mainstream lifestyle. Be it in Ferguson, Baltimore, or Berkeley, liberal politicians respond to violent protests by standing with insidious groups such as Black Lives Matter and Antifa. The FBI now considers them domestic terrorist groups. These are groups that, by definition, use force and the threat of force to achieve their radical political agenda. Enabling these cop haters and standing by their side does not strengthen the black community, it perpetuates racial tension and ignores the reality that Democratic policies have destroyed American urban communities. It is the “nothing-to-see here and move along” strategy. By standing with such groups, Democrats and the CBC are telling them that it’s OK to continue making questionable lifestyle choices like dropping out of school, having multiple kids with different parents, drug and alcohol abuse, and gang involvement. These flawed lifestyle choices prove catastrophic. 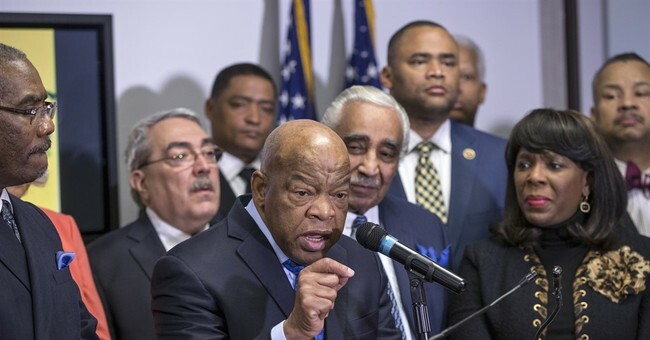 The congressional districts in which these protests occur are represented by liberal Democrats, as is the case with Rep. Elijah Cummings and Maxine Waters. As members of the Democratic Party and the CBC, Cummings and Waters join many of their fellow liberals in combating school choice initiatives and propping up the welfare state. But when issues of urban violence, education, and economic opportunity arise, you don’t find these politicians debating actual policies that solve these problems. You find them manipulating the issue and labeling Republicans who offer remedies as racist. There is no accountability, and unfortunately, these politicians use the black community to hold on to political power and nothing else. Come election time, the black community needs to send a message to the CBC that they won’t be exploited any longer. President Trump successfully appealed to black voters in the 2016 election, with an increased number of black Americans voting for him while others helped him win by staying home. Hopefully that pattern continues in the 2018 midterms. 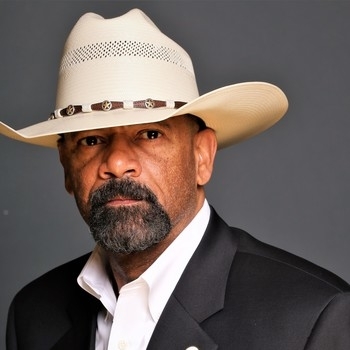 Sheriff David Clarke now serves as a Senior Advisor and Spokesman for America First Action, dedicated to supporting the Trump/Pence agenda. He recently retired as the Sheriff of Milwaukee County after nearly 40 years in law enforcement.